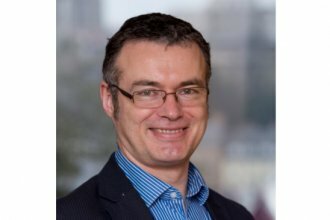 Dr Peter Simpson, Director of N8 Research Partnership, argues that regardless of the implications of BREXIT, the North can’t afford to take the foot off the pedal and must continue to work collaboratively to push forward its compelling offer as a region of new innovation and world class science. The North of England has a rich heritage of technological and medical innovation. City leaders across the North have recently endorsed Health Innovation as one of four prime economic capabilities paving the way for Health and Life Sciences to be one of the pillars on which the Northern Powerhouse is built. There is clear evidence that this the right approach and for the confidence placed in the sector’s role in future economic growth. The North is not only home to 1,000 life and health science businesses, supporting around 38,000 high skilled jobs and contributing £10.8 billion to the UK economy each year but it’s also a pharmaceutical manufacturing hotspot with global names like AstraZeneca, Eli Lilly, Actavism Fujifilm Diosynth and Medimmune. And it has one of the largest clusters of orthopaedic, medical device & surgical companies in the UK, being home to Smith and Nephew, Waters, Surgical Innovations, Reckitt Benckiser, JRI Orthopaedics, Swann Morton and DePuy Synthes. Complementing this, the North has world class life sciences research facilities and expertise, including the eight world class N8 universities working in partnership with internationally renowned research centres in the region including Sci-Tech Daresbury, Alderley Park, and Centre for Process Innovation, housing Catapult centres in Medicines Discovery and High Value Manufacturing. Medtech is also a notable regional strength. In Leeds, the Institute of Medical and Biological Engineering is one of the world’s top 10 bio-engineering research institutes, while N8 Regener8 and IKC in Medical Technologies have developed a successful platform of innovation and partnership with business. Other great N8 facilities include WELMEC Centre of Excellence in Medical Engineering, EPSRC Centre for Innovative Manufacturing in Medical Devices, and Sheffield’s Medical Advanced Manufacturing Research Centre, which provides engineering, design and prototyping services to industrial clients. It goes on – the region hosts two NIHR Diagnostic Evidence Cooperatives, which help generate information on the clinical and cost-effectiveness of in vitro diagnostics. It’s clear that both in business and in research the North of England has shown it is succeeding in the life sciences arena. But the field remains highly globally competitive and we need to build that success further. Firstly, universities have a major role to play. The N8 Research Partnership is the UK’s best established university partnership. N8 works on regionally coherent innovation for growth agenda by promoting collaboration; establishing innovative research programmes of international prominence; and crucially driving economic growth. In Life Sciences, N8 is translating national leadership expertise in biotechnology into a new Bioeconomy programme for analytical innovation through academic-business collaboration. This builds on our track record in AgriFood Resilience, where N8 is harnessing expertise across physical, life sciences, and social sciences, and simplifying access to innovation for business collaborations. Secondly, strategic investment is needed. For the North, and the UK as a whole, to retain and build on our strengths, cross-sectoral partnerships and innovative funding will be critical. N8 has already been highly active in bridging academia-business gaps through providing an innovation forum for the establishment of collaborations. Our colleagues at Northern Health Science Alliance support multi-centre clinical development projects, while BioNow and AHSNs seek to simplify business relationships and NHS innovation. Greater funding for this comprehensive support network can help to ease the way for new collaborative endeavours. Of course, we are now in a difficult funding and business environment, with uncertainty about the effect of HE White Paper, and worries about the impact of Brexit of funding and commercial investment. We can sit and wait for this to become clearer, or we can continue to build on the momentum that has been built and push forward the North as a new innovation region. 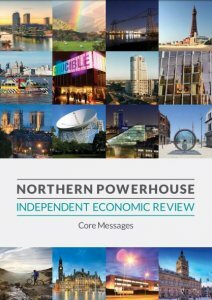 The North is working together to an unprecedented extent, across politics, business organisations, and the academic sector. We have a strong, investable proposition that combines fantastic science, with a skilled work force, and outstanding quality of life. Let’s keep up that momentum. Previous: Life after Brexit: what next for British universities?